The advanced training faculty for teachers of O.O. Bogomolets NMU started its work since 1968. Before that the Ministry of higher and secondary special education of the USSR, union and republican ministries performed the great work on study of world educational experience in the important sphere of continuous advanced training of teachers at higher schools. The necessity in this important direction in the system of higher medical education at union level was grounded and implemented in the form of “Provision about advanced training faculty for teachers at higher medical and pharmaceutical schools, medical refresher institutes when the head at Ministry of health care of the USSR was academician B.V. Petrovskyy and the head of Ministry of health care of the UkrSSR was corresponding member in AS of the UkrSSR V.D. Bratus. Further the abovementioned “Provision…” was updated, for the last time – during Soviet times – in 1988, when the Ministry of health care of the UkrSSR was headed by A.Yu. Romanenko (order No 123, dd. 15.01.1988). It is important to mention that in 1977 the advanced training faculty for teachers of O.O. Bogomolets Kyiv medical institute organized the department of pedagogy and pedagogical psychology (first head – until 1993 – professor M.V. 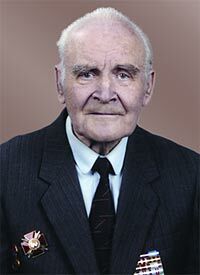 Cherpinskyy, since 1993 and until present time academician in APS of Ukraine S.D. Maksymenko). Since 1981 they started the advanced training for teachers and managing composition of 120 medical high schools and colleges of Ukraine. 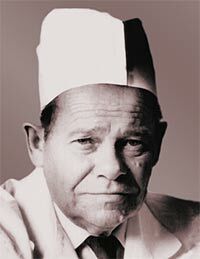 The first dean (1968 – 1976) of advanced training faculty for teacher of O.O. 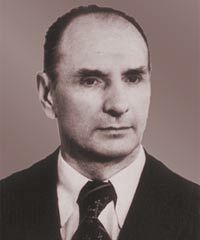 Bogomolets NMU was famous scientist-children’s surgeon, Honorary scientist and technician of Ukraine, professor Sytkovskyy Mykola Borysovych, who took many efforts at the stage for organization of study at newly established faculty and efficient implementation of developed concept about advanced training. 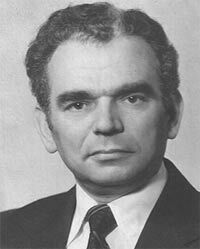 Further the following famous scientists-professors Revutskyy Yevgen Lvovych (1976-1990), Drobotun Volodymyr Yakovych (1990-1993), Cherenko Makar Petrovych (1993-1994) continued improving the system of advanced training for teachers, working at the post of the dean. It is worth mentioning the activity of professor D.G. Nalyvayko – an expert of modern learning technologies and his organization at the post of deputy dean. Since 1994 until 2008 the dean’s office of ATF was headed by Doctor of Medicine, corresponding member in APS of Ukraine, Laureate of State prize of Ukraine in the sphere of science and technology, head at department of pathological physiology, professor Byts Yuriy Viktorovych. Since 2008 the head of department of pediatrics No 3, Doctor of Medicine, professor Yuriy Volodymyrovych Marushko performs the duties of the dean at ATF. 12,000 teachers from 76 higher medical schools of the USSR and 7,000 teachers from 120 high medical schools improved their qualification at educational cycles for the period since 1968 until 1991. O.O. Bogomolets Kyiv medical institute was one from five leading medical higher schools in the USSR on implementation of this important direction of activity (others – 1st Moscow I.M. Sechenov medical institute, 2nd Moscow M.I. Pyrogov medical institute, 1st Leningrad academician I.P. Pavlov medical institute and Novosibirsk medical institute). It is not surprising that the geography of representation of teachers in higher medical schools of the USSR at educational cycles of advanced training faculty at academician O.O. Bogomolets Kyiv medical institute was very wide – from Khabarovsk to Vladivostok in the east and Uzhgorod in the west, from Perm and Archangelsk in the north and to Tbilisi to Yerevan in the south. Kyiv attracted the attention to itself as a great scientific and cultural center and as a city, where the training of highly qualified doctors of different specialization is successfully run and where the world-known scientific schools in theoretical and clinical medicine are supported and developed. Since proclamation of Ukraine as an independent state in 1991, O.O. Bogomolets NMU, its advanced training faculty became the main center on improvement of pedagogical and professional mastership for teachers from 14 higher medical schools of Ukraine of the III-IV accreditation levels (medical high schools, colleges) of the I-II accreditation levels. According to the new needs pursuant to the order from MHC of Ukraine No 258, dd. 30.12.93 they developed and approved the new “Provision about advanced training of teachers at higher medical and pharmaceutical schools, institutes of advanced training for doctors in Ukraine”. O.O. Bogomolets NMU was acknowledged as the main higher medical school of Ukraine that is entrusted to perform this important work. National pharmaceutical university (c. Kharkiv) was approved as the main higher school of Ukraine for advanced training of teachers in special disciplines “pharmacy”. The developed concept about advanced training of teachers, which is applied by HMS of Ukraine in their activity until present time, anticipates the compulsory character for advanced training for a teacher minimum once per five years mainly off-the-job at educational cycles of ATF with differentiated educational program for heads at departments (professors), assistant professors, assistants of primary and secondary study. The election of a teacher to some or other post according to “Provision…” is carried out taking into consideration the available document about advanced training. NMU carries out the study under program of ATF at department of psychology and pedagogy, at department of informatics and computers and 66 special departments. The teachers from 120 higher medical schools of the I-II accreditation levels improve their qualification at 33 departments. In addition, the order from MHC of Ukraine No 255, dd. 29.12.1993 for repeated training of teachers approved 77 bases more from eight other higher medical schools of Ukraine. In order to perform the advanced training for teachers, the special departments have the modern scientific and clinical bases, provided with necessary educational and methodic literature. The educational programs and curricula are composed on differential basis for heads at departments (professors), assistant professors, assistants of primary and secondary study. During recent years the university administration takes significant efforts to improve the material and educational base of special departments, department of psychology and pedagogy, in order to bring them in conformity with modern requirements. The advanced training is also carried out directly at special departments (participation in work of conferences, seminars, methodical councils, development of modern textbooks, guidelines, monographs), through participation in work of scientific medical societies and associations, scientific forums and congresses, in the form of probation at working place in leading laboratories and clinics of scientific and educational establishments in c. Kyiv. The important forms of advanced training for teachers are the study at postgraduate and Doctor’s courses. The dean’s office involves both leading specialists from NMU and leading scientists, who work in other educational and scientific establishments in c. Kyiv, into work of ATF. The involvement of famous specialists allows the attendants of medical higher schools of Ukraine of the I-II and III-IV accreditation levels acquainting with recent achievements of national scientific schools and world medical science. In the second half of the 90-ies the dean’s office of ATF tested the performance of monothematic cycles (physiology and pathology of cardiovascular system, digestive system, respiratory system; in theoretical and clinical aspects of immunology and allergology; in theoretical and applied aspects of molecular biology, molecular pathology and medical genetics). Many performed cycles were equal to academic sessions and readings due to the level of provision with lecturers. The activity of advanced training faculty for teachers of NMU is carried out according to approved (annually) working plan. The report about ATF work is regularly presented at scientific council of university, councils of faculties and university administration. The total number of teachers, who passed through advanced training at ATF of O.O. Bogomolets NMU for the years of independent Ukraine (until 25, June, 2007) was 16,571 persons (9,873 – teachers of HS of III-IV accreditation levels, 6, 698 – teachers of I-II accreditation levels. Thus, the average annual admission of attendants in comparison with the previous period surely grows. Since October, 2004, they started the brand new stage in activity of advanced training faculty (ATF) for teachers of O.O. Bogomolets National medical university. According to requirements of regulatory documents from MES of Ukraine, MHC of Ukraine and system of events, developed in order to implement them under supervision of rector of O.O. Bogomolets NMU, corresponding member in AMS of Ukraine, professor V.F. Moskalenko, a great volume of work on timely and efficient implementation of the basic principles from Bologna process into educational process was made at it. The study at cycles of ATF and seminars was carried out pursuant to the program “Higher medical education and Bologna process”, developed by leading specialists from MHC of Ukraine and teachers of O.O. Bogomolets NMU. In addition to the educational program “Higher medical education and Bologna process”, the dean’s office of ATF and department of psychology and pedagogy developed the supplement in the form of two content-rich modules. One of them – “Innovative technologies of higher medical education” – anticipates the advanced study of this problem as one of the most urgent in modern professional pedagogy in general. The second one – “Urgent problems in reformation of health care system in Ukraine” is oriented to teaching the urgent problems of family, insurance, evidence-based medicine and standards for rendering the medical aid to population as top priority ones at modern stage. The active implementation of program “Higher medical education and Bologna process” was carried out at planned educational cycles, as well as at additional seminars with participation of responsible workers from MHC of Ukraine – deputy Minister of health care of Ukraine professor V.G. Perederiy, deputy director in Department of human resources policy, education and science ay MHC of Ukraine professor O.P. Volosovets, chief specialist at Department of human resources policy, education and science ay MHC of Ukraine, Candidate of State Management T.I. Chernyshenko, group of program developers: assistant professors L.O. Ostapiuk, S.M. Belan, N.M. Zelenina, L.M. Artemchuk; teachers at department of psychology of O.O. Bogomolets NMU academician in APS of Ukraine S.D. Maksymenko, assistant professors V.Ye. Milerian, V.A. Kyrychok, M.M. Filonenko; teachers at department of social hygiene and organization of health care No 2 of NMU professor B.O. Ledoschuk, professor V.D. Pariy, professor A.R. Uvarenko, assistant professor Gayduk V.P., assistant professor Ye.Ye. Latyshev, etc. Besides, the leading specialists read the lectures at planned educational cycles – teachers at department of NMU corresponding member in NAS of Ukraine professor I.S. Chekman, corresponding member in AMS of Ukraine K.M. Amosova, professors M.M. Kolesnykov, O.M. Gyrina, assistant professors S.O. Velychko, A.I. Yegorenkov, M.P. Malezhyk etc. The total number of teachers, who since October, 2004 until June 2007 passed through advanced training under program “Higher medical education and Bologna process” at planned educational cycles, is 1,958 persons, among them 1,220 – teachers of HMS of III-IV accreditation levels, 738 – teachers from HMS of I-II accreditation levels. It is important to mention that about 2,000 individual projects for educational programs of disciplines pursuant to credit modular system were prepared for this period by attendants of repeated cycles of ATF. The attendants of ATF in these projects developed the modular structure of educational programs for disciplines, defined its credit solution in ECTS system, developed the diagnostic system for performance of final modular control, designed the materials for organization of independent work, etc. The projects are made under supervision of teachers at department of psychology and pedagogy and special departments. The faculty actively implements other modern forms of advanced training, as well as the thematic seminars for pedagogical staff of NMU at a certain level of qualification. So, for last year they performed some seminars, including due to modern topics: “Newest computer technologies in medicine and medical education”, “Basics of informatics and computers”, “Bioethics in medicine”. In total 298 employees of NMU took part in the work of seminars. The important events for NMU in the perspective are the psychological pedagogical seminars for teachers and postgraduate students, who have no special pedagogical training. Such first seminar was organized by ATF together with learning methodic department of NMU in June 2007. Further it is planned to continue the work of this seminar on permanent basis. Finishing this brief essay from history and today of advanced training faculty for teachers at O.O. Bogomolets NMU, we should mention that at each stage it performed its role in provision of necessary level in pedagogical and professional mastership of teachers. The present stage, which main aim is to reform higher medical education in Ukraine, to bring it in conformity with modern requirements, requires additional efforts, considered, balanced approach in order not only to add the new, advanced things that there are in the world but to preserve everything what national medical science and education was famous. II. Advanced training faculty 2008-2009. ATF works according to “Provision about advanced training of teachers at higher medical and pharmaceutical schools, institutes of advanced training for doctors in Ukraine” (order from MHC of Ukraine No 258, dd. 30.12.93). The “Provision…” anticipates the compulsory advanced training for a teacher minimum once per five years mainly off-the-job at educational cycles of ATF with differentiated educational program for heads at departments (professors), assistant professors, assistants of primary and secondary study. Forms of advanced training. The main form of study is a cycle of advanced training. The advanced training at ATF for teachers of HMS of Ukraine of III-IV accreditation levels was held on differential basis for heads at departments (professors), assistant professors, assistants of primary and secondary study. For teachers at HMS of Ukraine of I-II accreditation levels – on differential basis for directors, deputy directors in learning and educational work, Methodists and teachers of primary and secondary study. At cycles of advanced training the department of general and medical psychology and pedagogy, special departments of NMU continued actively implementing the program “Higher medical education and Bologna process” with two additional content-rich modules into educational process. The program was completely set forth in full volume at cycles for heads at departments, professors, assistant professors, assistants of primary and secondary study at HMS of Ukraine of III-IV accreditation level, as well as for teachers of secondary and primary study at HMS of Ukraine of I-II accreditation level. The department of general and medical psychology and pedagogy developed the specialized course “Modern psychological pedagogical problems of higher medical education” on a differential basis for primary and secondary cycles. Further update of programs for advanced training at repeated cycles is carried out in direction of deepening the topic “Modern innovative and interactive technologies of higher medical education within the context of tendencies for development of European educational integration”. According to requirements for training of specialists for entry into European educational space, further implementation of modern technological systems of training into education process in 2008-2009 a.y. is important for improvement of pedagogical mastership of ATF attendants that includes a wide range of technologies and methods: technology of problem-oriented study; technology of interdisciplinary, integrated study; training technologies; imitation, role playing, gaming technologies; technologies of fundamental medical education; personality-oriented technologies of study; credit modular technologies; quality diagnostics technologies, technologies for organization of independent work for students, information technologies. These issues are described during study at cycles of advanced training at ATF for teachers at lectures and seminars “Modern interactive and problem-oriented learning technologies in higher medical education”, “Modern lecture: technological directions of development”, “Basics of pedagogical management”, “Mastership of pedagogical communication”, “Modern principles of educational work at HMS”, “Age peculiarities and problems of socialization at students of HMS”, etc. – HMS of III-IV accreditation levels: “Higher medical education in Ukraine: problems and perspectives of educational European integration” for heads at departments, professors, assistant professors; “Innovative technologies in higher medical education within the context of requirements in Bologna process” for assistant of secondary study; “Basics of pedagogy and psychology in higher medical education” for assistant of primary study. – HMS of I-II accreditation levels: “Psychological pedagogical aspects in activity of management staff at HMS of I-II accreditation levels within the context of requirements in Bologna process” for directors and deputy directors in learning activity; “Professional medical education: directions of development and innovative technologies” for teachers of secondary study; “Basics of pedagogy and psychology in higher medical education” for teachers of primary study. ATF of NMU in its work uses other forms of study – cycles of thematic improvement, seminars, and probations at working place. ATF for teachers of NMU for the first time performed the cycle of thematic improvement “Basics of evidence-based medicine. Organization and management of scientific researches”, “Methodology and bioethics in medical researches”. The new cycle of thematic improvement “Biomedical engineering and modern technologies in medical education” was prepared and approved at Scientific council of NMU (5.06.09). Certain classes from this cycle are implemented at cycles of advanced training already in September, 2009. They are the lectures by corresponding member in APS of Ukraine, professor Chalyy O.V., professor Pariy V.D. “Physics and medicine: synergetic principles of education and science”, “Application of modeling methods in ecological, medical and medical engineering researches”. The lectures and classes received the high assessment from attendants of ATF. According to the order from MHC of Ukraine the following seminars were held – “Urgent issues of immune prevention in Ukraine” (19.01-20.01. 2009 and 29.01.-30.01.2009), “Flu A (H1 N1). Epidemiology, clinic, treatment and prevention” (20.10.2009). The program of study at the corresponding departments included the additional issue about epidemics of HIV-infection according to the order MHC of Ukraine, dd. 8.05.2009 No 313. They also worked out the issues in order from MHC of Ukraine No 703, dd. 1.10.2009 “About approval of events for improvement of organization and performance of preventive vaccinations in Ukraine”. They also performed the seminars “Credit modular system for organization of educational process with attendants of ATF” (12.11.2008), “Problems of bioethics and biophysics of the living creatures” (19.03-20.03.2009). The department of medical informatics and computer learning technologies performed 2 seminars “Modern pharmaceutical science. Occupational expertise” (12.02 –13.02.2008); (23.09.-27.09.2008), seminar for teachers of HMS of I-II accreditation levels “Modern nursing. Occupational expertise” (10.02-14.02.2009). They performed the seminars for heads at departments of HMS of IV accreditation level: hygiene and ecology “Urgent issues in teaching the general hygiene” (10.04.2009), pharmacology “Credit modular basics for teaching the pharmacology” (27.05.2009). ATF of NMU, addressing to MHC of Ukraine, received the permission (letter No 08.01 -51/689, dd. 23.04.2009) for performance of cycles for thematic improvement on issues of organization of educational process and credit modular system for teachers of HMS of Ukraine of III-IV accreditation levels, who take part in annual methodic councils and conferences of supportive departments of O.O. Bogomolets NMU. The important form for advanced training of teachers is their probation at MHC of Ukraine, at pre-attestation cycles in P.L. Shupyka NMAPE, at working place in leading laboratories and clinics of scientific and educational establishments in c. Kyiv, Ukraine and world. The important forms for advanced training of teachers are also the study at postgraduate and Doctor’s courses, participation in work of seminars, scientific conferences, forums, and congresses, development of modern textbooks, guidelines and monographs. The activity of advanced training for teachers of NMU is carried out pursuant to approved (every year) working plan. Control of work: report at Scientific council of NMU, report at university administration (5.05.2009). The plan for admission of attendants to ATF due to specialties is composed every year, approved by university administration and MHC of Ukraine. Such plan after approval is sent to HMS of Ukraine of III-IV and I-II accreditation levels. According to the applications HMS receive the permits for study. During the study the attendants are provided with the hostel (17 places in hostel No 5 of NMU and 28 places in hostel No 4 – P.L. Shupyka NMAPE). Methodic provision for work of ATF for teachers. In 2008-2009 a. y., taking into consideration the “Provision about ATF…”, they started developing the differential working educational programs at special department of NMU (for professors, assistant professors, assistants of primary and secondary study). The program is structured according to necessity in description of methodic experience of department, scientific work, clinical practice, and pedagogical practice – 4 components (content-rich modules). At scientific methodic council of ATF they discussed all aspects as to construction of such programs. They developed the issue to bring the regulatory documentation of departments that work at ATF in conformity with modern requirements. At present moment most departments of NMU presented the updated working educational programs. They are the department of general and medical psychology and pedagogy, obstetrics and gynecology No 1, biology, hygiene and ecology, social medicine and health care organization, histology and embryology, infectious diseases, physiology, neurology, oncology, operative surgery and topographic anatomy, traumatology and orthopedics, general surgery No 1, ophthalmology, pediatrics No 2, pediatrics No 3, children’s infectious diseases, pathophysiology, radiology and radiation medicine, therapeutic dentistry, surgical dentistry and facial surgery, orthopedic dentistry, children’s therapeutic dentistry and prevention of dental diseases, internal medicine No 2, endocrinology, urology, phthisiology, physical rehabilitation and sports medicine, surgery No 2, children’s surgery, otorhinolaryngology, dermatology and venereology, epidemiology, Latin language, etc. On 13, October, 2009 the dean’s office of ATF performed the scientific methodic seminar-council for curators on topic “Modern methodic principles for organization of pedagogical practice for attendants of ATF at special departments of NMU”. The issues of pedagogical practice as a component for training of teachers for HMS of Ukraine were clearly brought at the seminar for curators of ATF at special departments. The special departments are provided with the necessary educational and methodic literature, have modern material base for advanced training of teachers. Maksymenko S.D., Maksymenko K.S., Papucha M.V. Psychology of personality. – K.: Publishing house “KMM” Ltd., 2007. – 296 p.
Maksymenko S.D. Genesis of personality fulfillment: – K.: Publishing house “KMM” Ltd., 2006.-240 p.
Maksymenko S.D., Kosenko Ye.L. Experimental psychology (didactic thesaurus): textbook – K.: MAUP. 2002.-128p. Milerian V.Ye. Methodic basics for preparation and performance of learning sessions at medical higher schools. Methodic guidelines for attendants of ATF at primary cycles. – K., 2006. – 808p. Milerian V.Ye. Designing the credit modular system for organization of educational process. Methodic guidelines for attendants of ATF at secondary cycles. – К. 2008.,-16p. Psychology and pedagogy. Edited by S.D. Maksymenko. Textbook for students of HS. – Vinnytsia “Nova knyga”. 2007.-367p. Milerian V.Ye. Self-psychotherapy. Guidelines for attendants of ATF. К., 2006, -138 p.
Filonenko M.M. Psychology of communication. Textbook for students of HS. – К., 2008.-223p., etc. During classes at special departments they use all textbooks, study guides, methodic guidelines of lectures, practical classes that are issued by the corresponding department. Bases of ATF: department of general and medical psychology and pedagogy and 59 special departments of O.O. Bogomolets NMU. This work is carried out in some important aspects – scientific, learning methodic, treatment. The important section in this work is the pedagogical practice that anticipates the attendants’ performance of practical classes and lectures under supervision of curators from ATF of special departments. The important aspect in this work is the visits of modern scientific research and clinical centers in c. Kyiv, AMS of Ukraine by attendants of ATF. During recent years the university administration takes great efforts to improve the material and learning base of special departments, department of general and medical psychology and pedagogy to bring them in conformity with modern requirements. The attendants of ATF with the great interest perceived the lecture, which was read by Laureate of Nobel Prize, academician Ye.I. Chazov. The educational process with the attendants of ATF is provided by highly qualified professors and teaching staff. The teachers at department of general and medical psychology and pedagogy of O.O. Bogomolets NMU – academician in APS of Ukraine S.D. Maksymenko, assistant professors V.Ye. Milerian, V.A. Kyrychok, M.M. Filonenko, V.V. Turban, teachers at department of social hygiene and health care organization on advanced training of executive staff in health care – head at department, professor B.O. Ledoschuk and assistant professor Ye.Ye. Latyshev, head at department of clinical immunology and allergology, professor G.M. Drannyk, professor V.Ye. Kazmirchuk take an active part in it. Famous scientists: corresponding member in AMS and NAS of Ukraine, professor I.S. Chekman, corresponding member in AMS of Ukraine, professor V.Z. Netiazhenko, corresponding member in APS of Ukraine, professor O.V. Chalyy, professor S.O. Kramarev, professor I.P. Kolesnikova, etc. joined to reading the lectures. ATF of NMU in 2009 renewed the cooperation with the scientific research academic establishments in c. Kyiv. Thus, within the lecture course at ATF they presented the new lecture “Molecular biological basics of carcinogenesis” by research worker in the Institute of molecular biology and genetics at NAS of Ukraine V.V. Gordiyuk that received the high assessment by attendants of ATF. This lecture started the general theoretical cycle at ATF and the cooperation with capital academic establishments. It should be mentioned that for 2008-2009 a.y. about 100 individual projects for fragments of educational programs for disciplines pursuant to credit modular system were made, as well as about 550 methodic guidelines for lectures, practical, seminar classes and methodic guidelines for organization of students’ independent work. The individual projects and final works are made under supervision of teachers at department of general and medical psychology and pedagogy and special departments. The attendants of ATF are provided with methodic materials from department of general and medical psychology and pedagogy and special departments of NMU. In 2008-2009 a.y. they performed the study of teachers at annual 12 planned cycles and 10 cycles of thematic improvement and seminars. In general, in 2008-2009 a.y. 1,336 teachers from HMS of Ukraine of III-IV and I-II accreditation levels improved their qualification. The general summary of work, performed at ATF of O.O. Bogomolets NMU, is shown on Figure 1. The quantitative indices for training of teachers at ATF for recent 4 academic years are shown on Figure 1. ІІІ. II. Advanced training faculty 2008-2012.